BCAA's + glutamine. With caffeine, 6000mg of BCAA's and 1500mg of L-glutamine. What is Premium BCCA + Energy? Premium BCCA + Energy by Weider is a food supplement made from L-leucine, L-isoleucine, L-valine, L-glutamine, caffeine, green tea extract and vitamin B6. With sugar and sweeteners. We suggest mixing 1 scoop (10g) in 200ml of water. What are the properties of Premium BCCA + Energy? Do you want to know more about the BCAA's? Read more. It also has green tea extract (Camelia sinensis L.), which is a very common plant in our daily diet. Here you have all the info about green tea. Premium BCCA + Energy provides 100mg of caffeine per daily dose (10g). 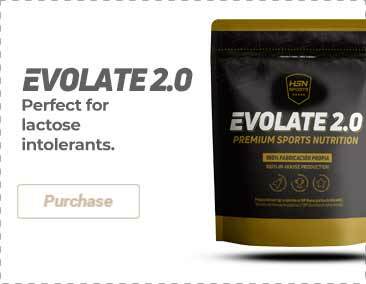 Moreover, it is available in several flavors, you can choose your favorite flavor while taking a BCAA's glutamine supplement. Natural caffeine from Green Tea extract. 30% L-leucine, 15% L-isoleucine, 15% L-valine, 15% L-glutamine, acidity regulators (citric acid, tartaric acid), flavoring, maltodextrin, honey, green tea extract (Camellia sinensis L.), caffeine, sweeteners (acesulfame-K, sucralose, steviol glycosides), color (ammonia caramel), anti-caking agent (silicon dioxide), emulsifier (soy lecithin), thickener (xanthan gum), vitamin B6 (pyridoxine hydrochloride). It can contain traces of milk, lactose, gluten and egg. Once opened, store in a cool (under 25ºC), dry and dark place. Do not exceed the stated recommended daily dose. Keep out of reach of the smallest children. Nutritional supplements should not be used to replace a balanced diet. It contains caffeine [100mg/2 scoops (10g)]. Not recommended for children nor pregnant or lactating women. The product can become compacted, this does not affect the quality nor the effectiveness of the product.